Katie & Pip celebrates the relationship between Katie, a 15-year-old Type 1 Diabetic girl and ‘Pip’ her 5 year old border collie, trained by Katie to save her life on a daily basis. 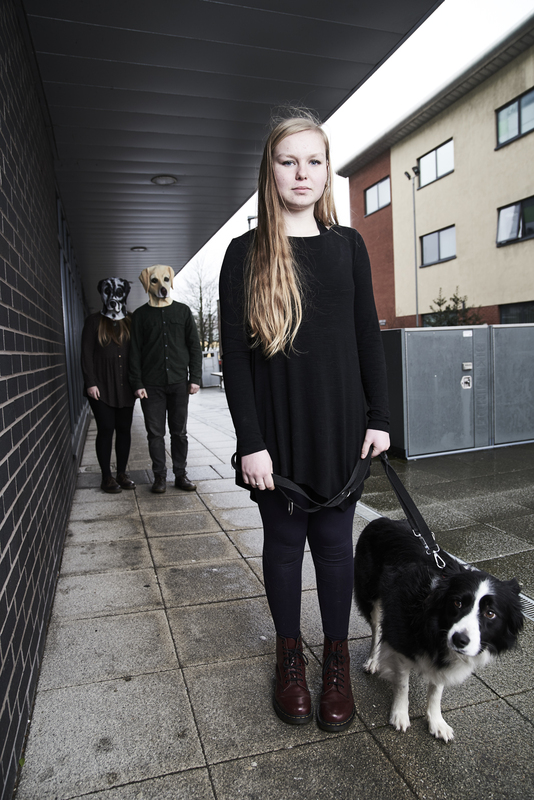 Led by duo of lead devisers Charlotte & Rob and presented with participants Katie & Pip, the performance investigates the pairing between humans and dogs as a vehicle to exploring compassion and companionship in the human social condition. On a journey of extreme highs and extreme lows, they celebrate freedom and living life to the full; watch dogs be humans and humans be dogs as this chaotic and unpredictable collision of youth unfolds. Tin Can People is an artistic collective led by Charlotte Berry & Rob Gregson who live and work in Preston. They devise interdisciplinary theatre & performance for studios, museums, pubs & kitchens; often collaborating with performers and non-performers. Tin Can People are current associate artists with Derelict; a leading programme of contemporary performance and live art in Preston.